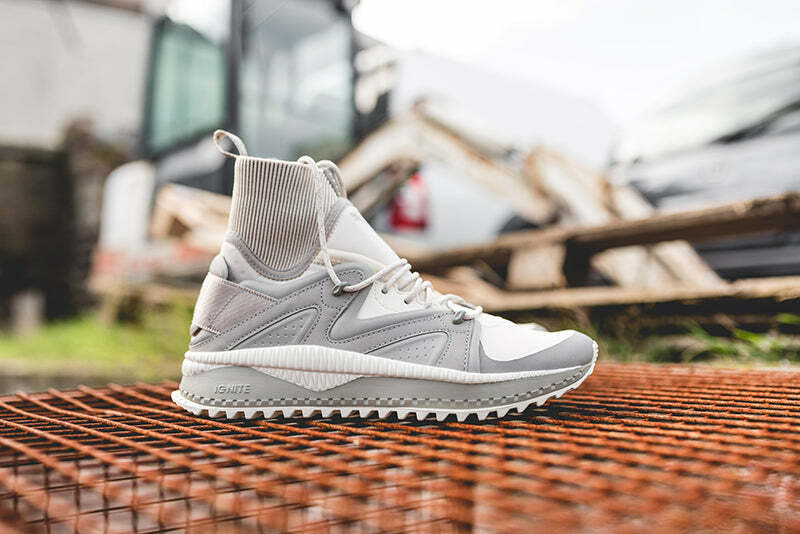 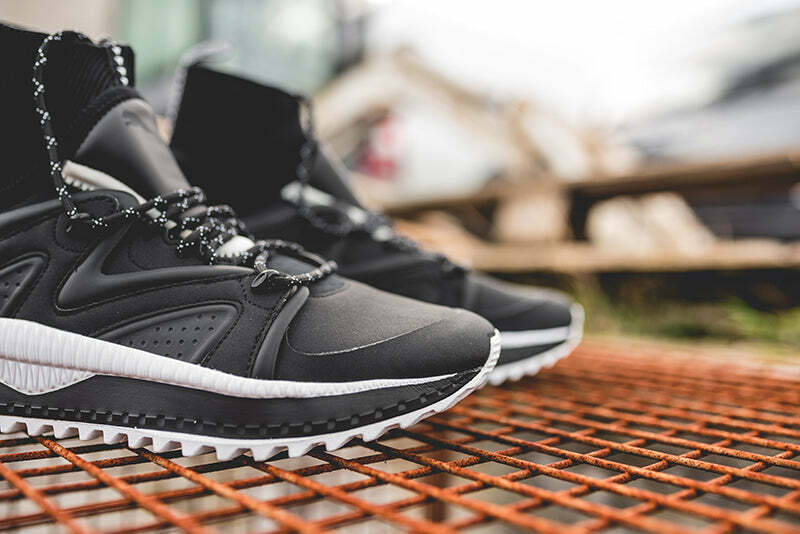 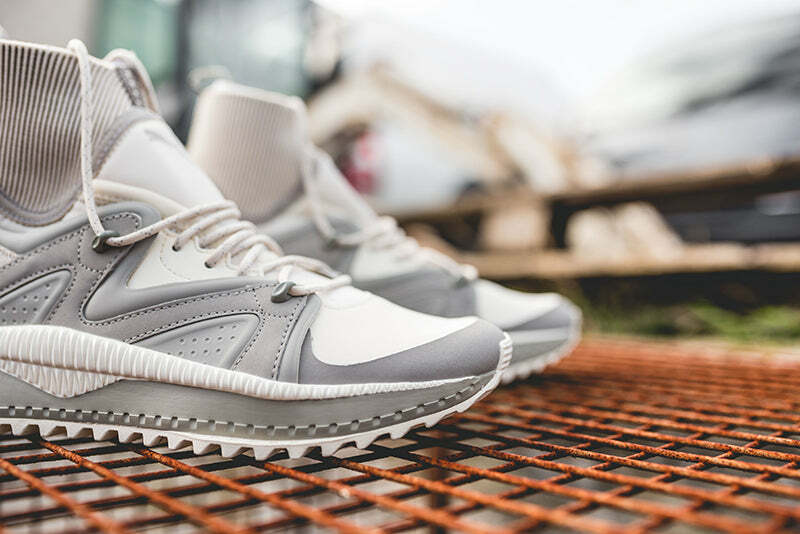 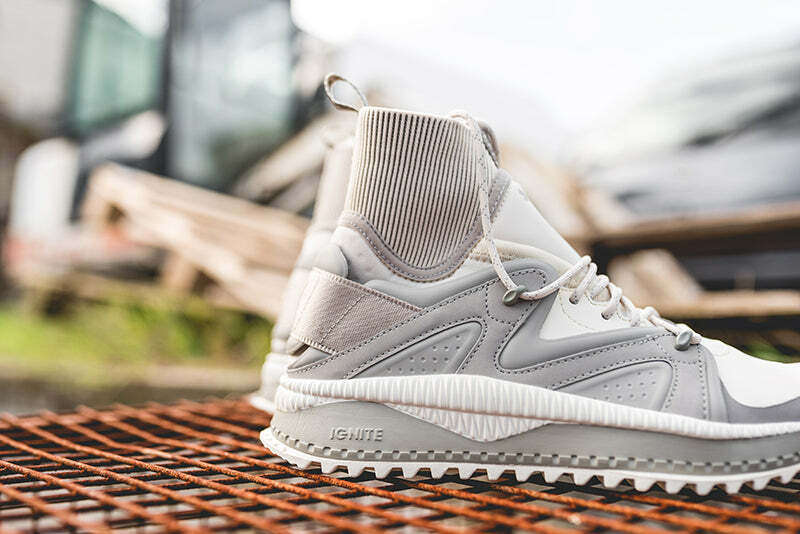 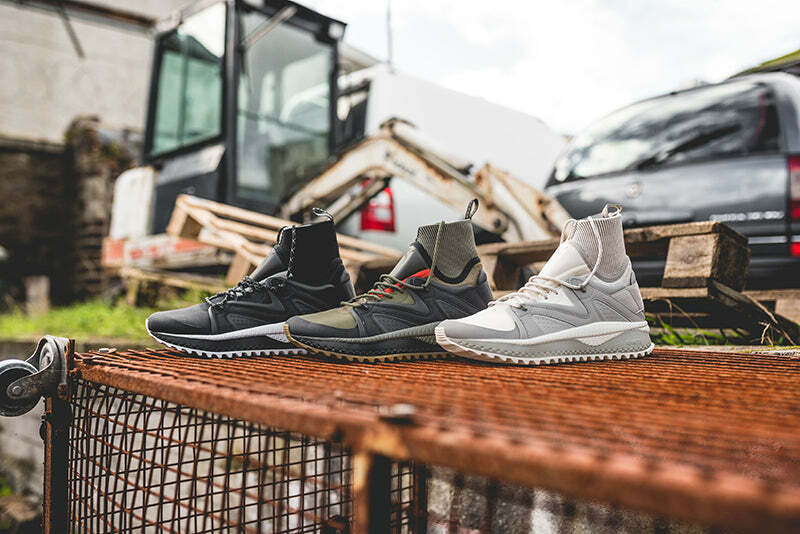 Tsugi represents Puma’s new running sportstyle era and it takes cues from the past and revisits them in a progressive way. 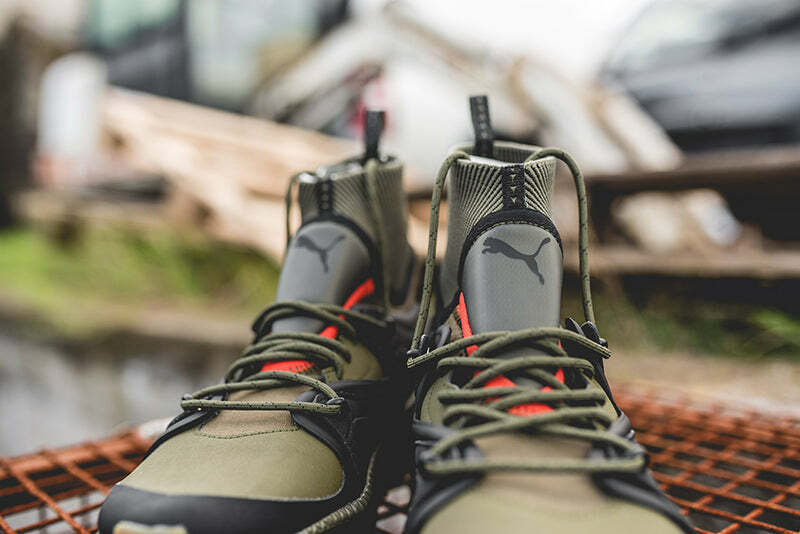 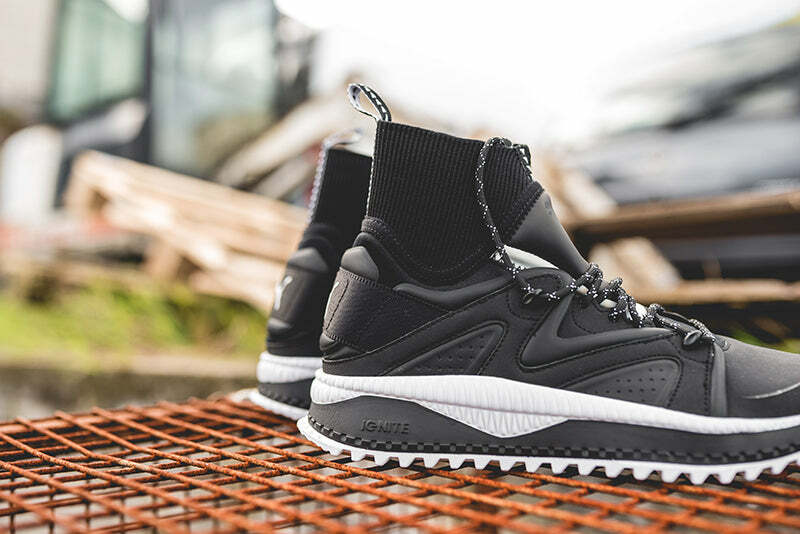 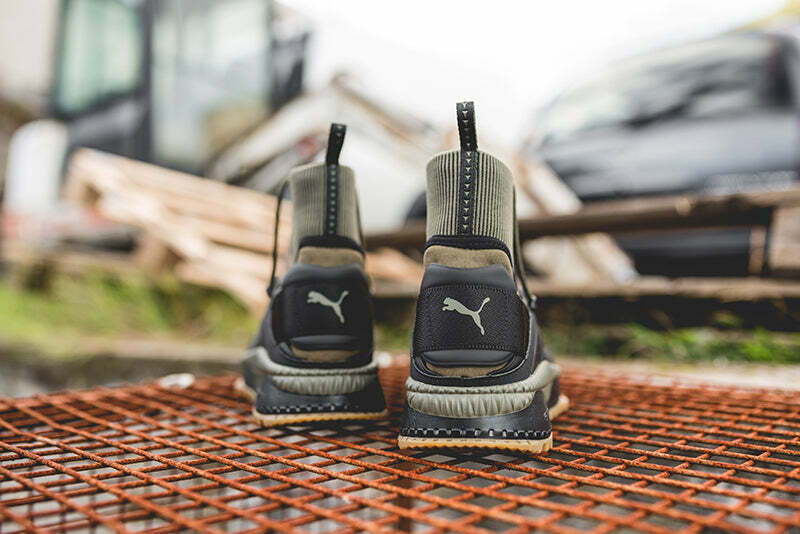 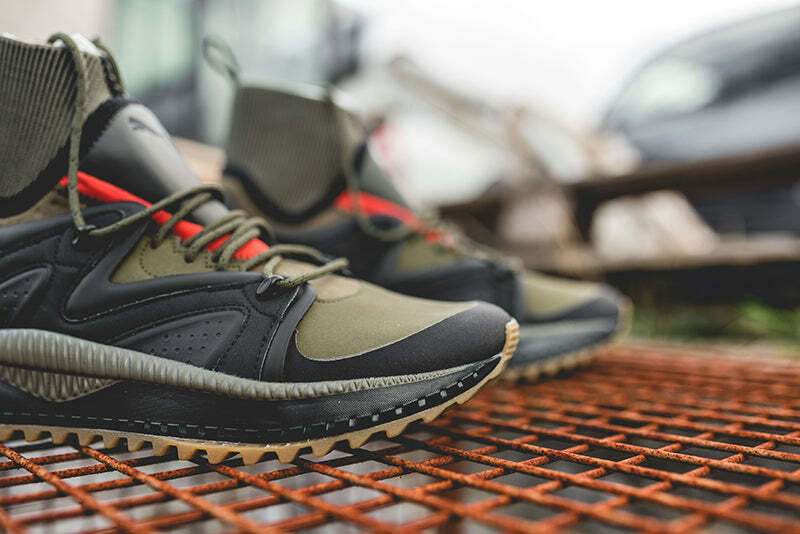 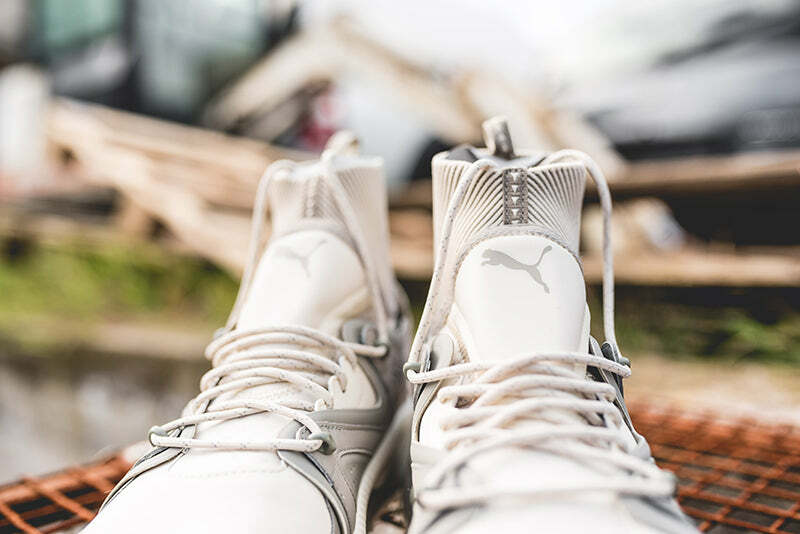 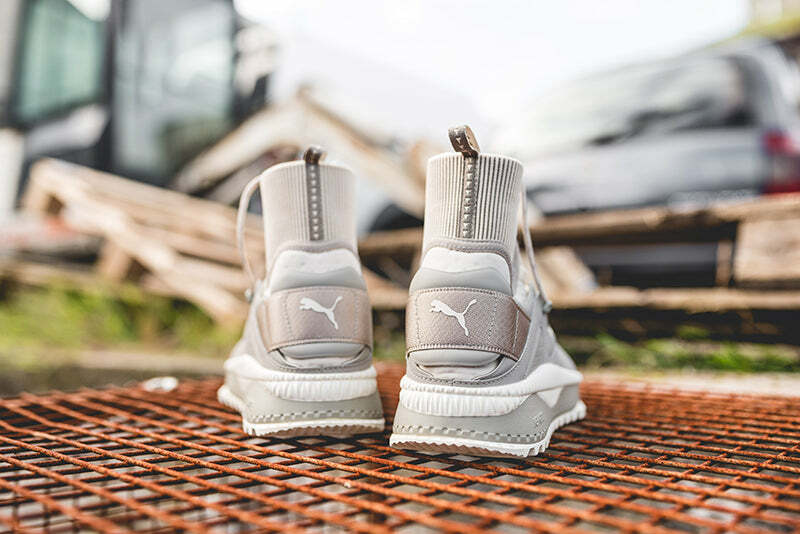 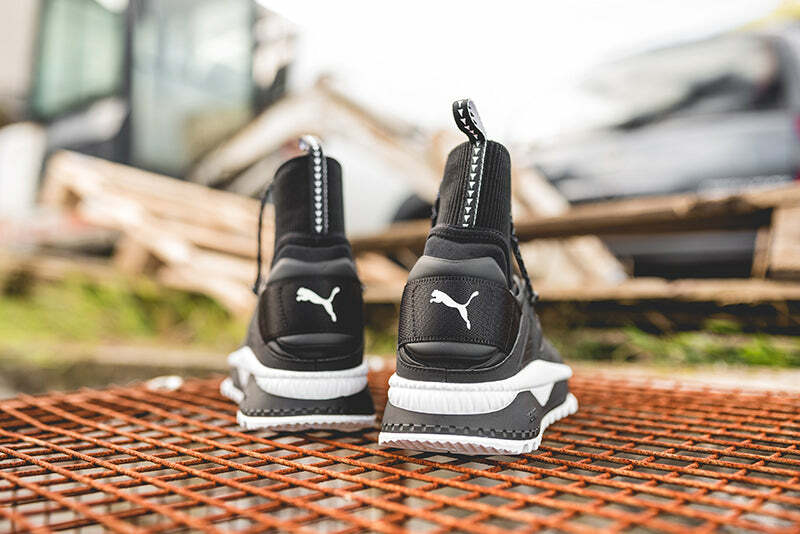 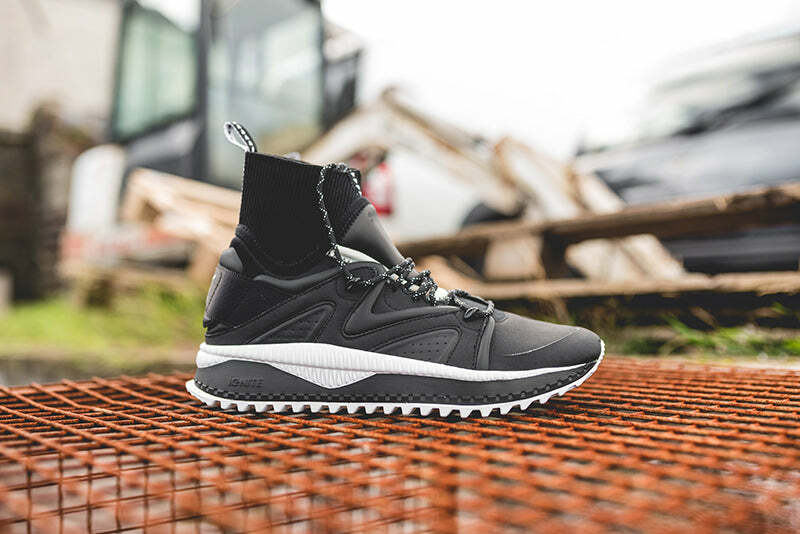 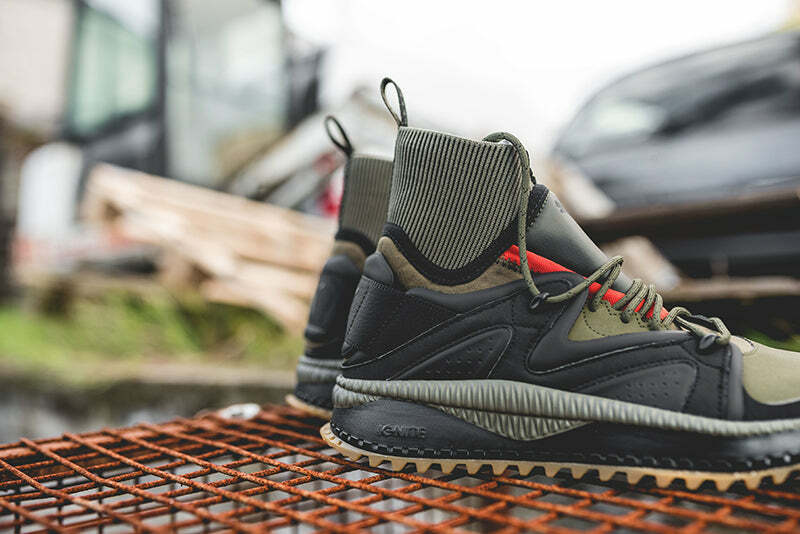 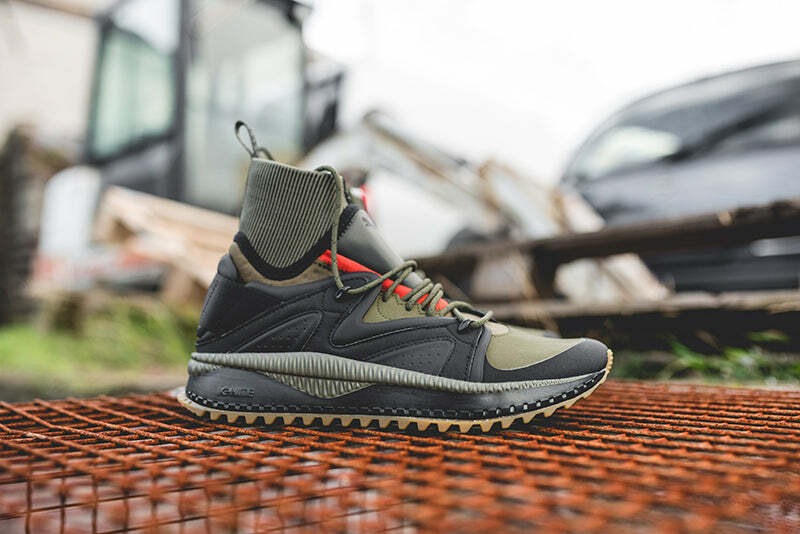 These particular Puma Tsugi Kori’s are weatherproof, and have soft moulded overlays and a woven heel gore, combined with a neoprene booty construction resembling the Blaze of Glory. 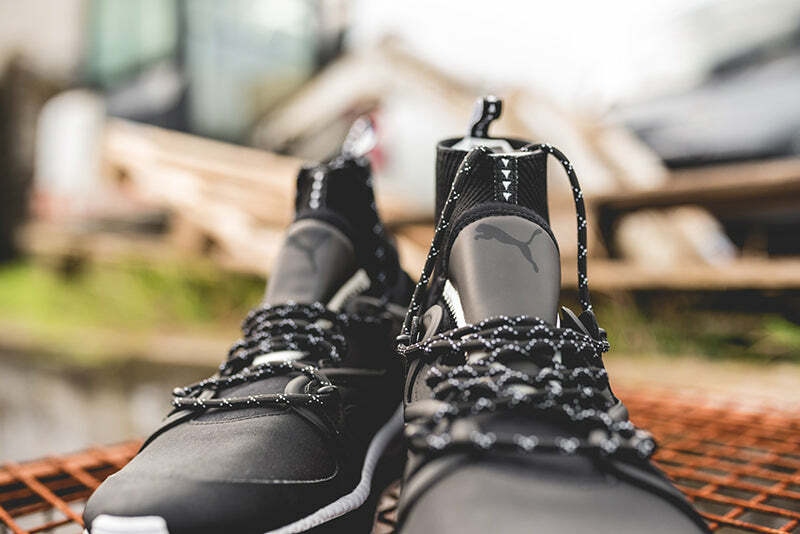 Finished off with a ribbed knitted collar, the sculpted tooling featuring Ignite technology, and the rugged outsole make the Kori the perfect autumn and winter style.